You're halfway to a terrific Veal Parmesan! Delicious ground veal in the seasonings of Old Italy coated with bread crumbs, Romano cheese, garlic and cornmeal ready to saute and serve.INGREDIENTS: Veal, Mustard, Batter: Batter Mix: (Yellow Corn Flour, Enriched Flour (Bleached Wheat Flour, Malted Barley Flour, Niacin, Reduced Iron, Thiamine Mononitrate, Riboflavin, Folic Acid), Yellow Corn Meal, Salt, Leavening (Sodium Acid Pyrophosphate, Sodium Bicarbonate), Dextrose, Carboxymethyl Cellulose Gum, Soy Flour), Water. 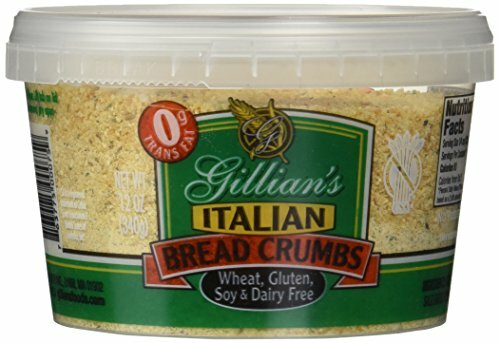 Breading: (Bread Crumbs (Bleached Wheat Flour, Sugar, Yeast, Salt), Salt, Romano Cheese (Pasteurized Part-Skim Milk from Cows, Cheese Culture, Salt, Enzymes), Spices, Garlic Powder, Onion Powder, Natural Flavor). Contains: Wheat, Soy and Milk. Advance Food Vincello Vincello Veal Italiette, 4 Ounce - 40 per case. 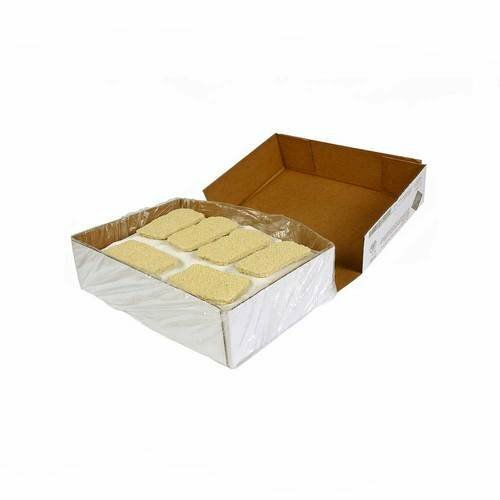 Great for fish, poultry, beef, pork and veal. 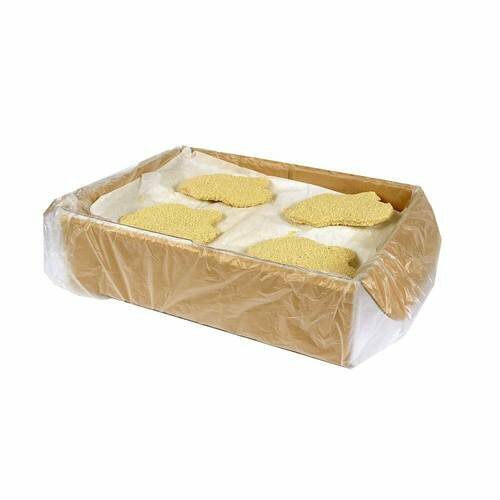 Advance Food Italian Breaded Veal Thing, 6 Ounce - 27 per case. Advance Food Italian Breaded Veal Thing, 6 Ounce -- 27 per case. Flaked and formed lean veal provides a uniform product with superior texture and bite. 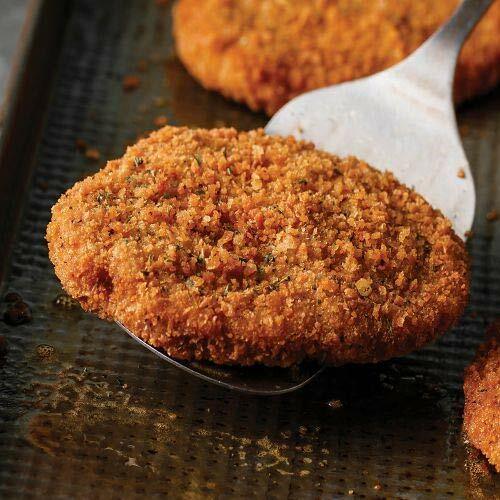 Breaded with zesty Italian style fine cracker crumbs.